The Seahawks lost. Panic. Blame. Doubt. They all come rushing out of the cracks in your confidence. Odds are, the more sure you were of the win, the more angry or depressed you are after the loss. Likewise, games that you are most concerned about tend to lead to more ecstatic postgame celebrations. It is the bipolar nature of being a fan. Competitors should never get numb to losing, but nothing is gained by overemphasizing or overgeneralizing the negative. That is why Pete Carroll has Tell The Truth Monday. What was the real story of the game? Are any patterns developing that need to be addressed? Seattle has played two of the top five quarterbacks in football after two games, and stand at 1-1. They play the best quarterback in the NFL next week, and will be 1-2 if they make the same mistakes that day that were made on this one. This game was won by nearly perfect play by the Chargers offense, and a series of crippling errors by Seattle. It was not hard to see how much this game meant to San Diego. This was the first true example of getting a team’s best shot because you are the champ. The Seahawks nearly won anyway. The San Diego offense may have added more heat on an already scorching field Sunday. They played what had to be one of their best games in recent years. Every floating Phillip Rivers pass fluttered perfectly into the hands of a receiver, or most often, tight end Antonio Gates. It was reminiscent of the Beast Quake game against the Saints when Matt Hasselbeck was dropping miracle passes in the bread baskets of John Carlson and Mike Williams. Seattle played almost a perfect game on offense that day, and still barely held on for the win against the defending champs. San Diego came in with a great game plan to clear out with their receivers running down field and let their backs and slot receivers work the underneath for modest gains. There were swing passes and bubble screens and short tosses to Danny Woodhead. None of them were gashing. Their longest gain through the air on the day was 21 yards. It led to manageable third downs, and time after time, when Rivers was asked to come through in a key moment, he found a way. He was the best competitor on the field Sunday, and it was not close. Seahawks players were hanging on him as he would throw what looked like desperation heaves that turned into touchdowns or first downs. When all the options were taken away, he lumbered for killer first downs. Still, the game was well within reach until Percy Harvin fumbled a kickoff. And then Bruce Irvin’s inexcusable penalty that led to the Chargers only touchdown of the second half. San Diego scored on each of their four first half possessions, but the Seahawks defense adjusted in the second half. The Chargers punted on three of four possessions, and would have been held to a field goal attempt if not for Irvin’s inexplicable act. Seattle realized all the Chargers running plays were draws and delays up the middle. They were not testing Seattle’s speed outside. They sealed those lanes. The realized the Chargers were not going to throw deep, and took away the swing passes and bubble screens. The Seahawks defense is built to make an offense dink and dunk all the way up the field and be patient enough to take 3-4 yard gains. The bet is that most offenses will either make a mistake along the way (e.g., penalty, turnover) that kills their drive, or become impatient and throw into the teeth of the defense. Rivers masterfully took those short throws and then made the dagger play to get seven points instead of three. The Seattle plan had a chance to work as well. Three Chargers fumbles could not be recovered by the Seahawks. Multiple Charger penalties in the red zone should have led to field goals, but were converted into touchdowns. Mistakes were not just reserved for the defense and special teams. Zach Miller had more mistakes in this game than possibly all his others in Seattle combined. Seattle had a chance to take the lead on their first drive of the second half. Miller had a false start on the first play. He then whiffed a block on the second play, keeping Ricardo Lockette from what would have been a nice gain. He finished the drive with an offensive pass interference on third down. Not good stuff. 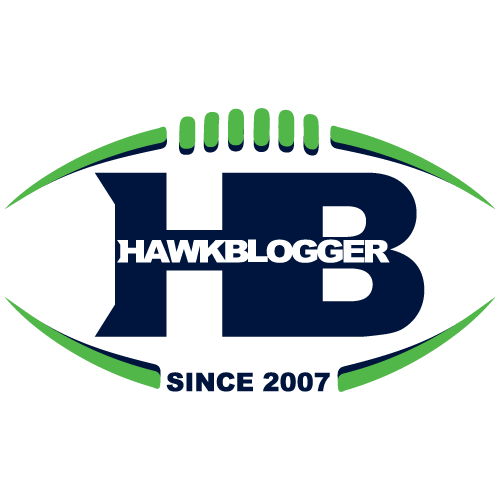 As wonderfully as San Diego played on offense, had Seattle not fumbled that kickoff, recovered just one of the Chargers fumbles, or not had that Irvin penalty, there is a good chance the Seahawks would have won this game. There were complaints on Twitter and in local media about the play of the offensive line. The perception was that Russell Wilson was under constant pressure. I was shocked that people left the game with that as a standout factor. This offense was over 8 yards per carry on the ground. EIGHT YARDS. Take away Harvin’s 51-yard run and they were still at 4.8 yards per carry. And while the Chargers did get pressure late in the game, Wilson completed 68% of his passes, was over 8 yards per attempt, had two touchdowns, no interceptions, and was sacked only twice. Those were the only quarterback hits of the day for the Chargers. Wilson did not have all day to throw, but there is simply no way an offense averaged 7.2 yards per play, and scores 21 points in just 18 minutes of possession without any turnovers if the offensive line played a bad game. There is enough mass around this concern, that I will be looking at it on my second viewing of the game, but I urge those of you that are pointing your fingers at the line to do the same. A frustrating loss masked what was another strong offensive performance. Seattle has averaged over 7 yards per play just three times since Pete Carroll arrived. The last two were the 58-0 win over the Cardinals that was followed by the 50-17 win over the Bills. Wilson and that offensive line made it look easy going 69 yards in under a minute to close the first half with a touchdown. They did it again going 70 yards in under three minutes in the third quarter. But the offense faltered three times when they had the ball and had the chance to take the lead. They managed just one first down in those three possessions. Wilson was a shoestring tackle away from converting on 3rd and 15 with eight minutes to go in the fourth. That was the exact type of backbreaking play Wilson usually makes and then leads the team to victory. Seattle was just 3-8 (38%) on third downs, and is just 37% on the season. That is where they ended last season, but it needs to be better. The defense allowed an opponent to convert over 50% of their third downs for the second straight week. Only two teams managed to do that last season. San Diego was 3-4 in the red zone, making opponents 5-7 (71%) this year after Seattle was the second best in the NFL last season at turning teams away. Coaches call that situational football. Carroll and his staff are excellent at identifying the root causes and addressing them. The ultimate test is coming to town this week. This game does not mean the Seattle defense is bad. It does not mean the Seahawks are overrated. San Diego played their hearts out and earned a narrow victory over the best team in football. They earned the win. 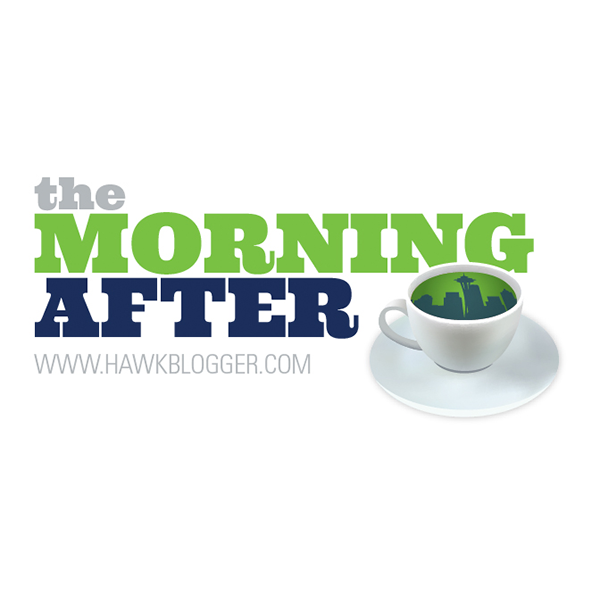 Pundits will waver in their positions on the Seahawks. They will fixate on passes being completed on Richard Sherman that had little impact on the game. They will ask if the formula to beating this defense has been found. Understand this: great defenses get beat, they just get beat less often. The Seahawks gave up 476 yards to the Texans last year. They gave up 350 yards to Mike Glennon and the Bucs at home. They allowed 200 yards rushing to the Rams. And yet, they were still considered among the best defenses in history. The 2012 defense gave up 475 yards to Tom Brady and the Patriots in Seattle, and 415 yards in Detroit. Ryan Tannehill piled up 435 yards. That defense still led the NFL in points allowed. None of this is to say the issues we are seeing should be swept under the rug. Instead, it is just too early to distinguish issue from mirage. Seattle plays three of the best quarterbacks on the planet to start their 2014 season. These are men that are capable of things that few others are. The loss to the Chargers magnifies this Super Bowl rematch even more. No coaching staff and locker room is better able to square their sights on greatness and break apart obstacles keeping them from getting there. Seattle is out of first place in the NFC West for the first time since 2012. Any air of invincibility that carried over from their dominating Super Bowl season has dissipated. The team could not ask for a better opportunity to regain it than this week.